A jolly festive frolic with your favourite boarding school sleuths. Put the crime into Crimbo! Daisy Wells and Hazel Wong are spending Christmas in Cambridge. It’s a picture-perfect scene of festive bliss. Beautiful spires, cosy libraries and pretty tea-rooms – plus a bit of death mixed in! Danger is lurking in the dark stairwells of ancient Maudlin College. You know: terrible accidents that aren’t really accidental at all. While some are kissing under the mistletoe, others are busy killing. 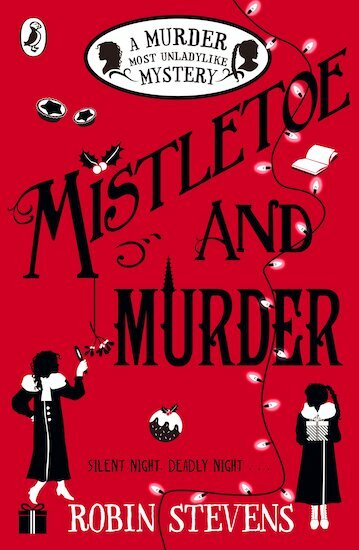 Can the girls solve the crime – in time for Christmas, of course? Very exciting and unpredictable with changes of character and multiple deaths. One of the best books I’ve read!!! !